If you’re looking for Littleton moving companies then Stallion Moving Services is here to help. Our moving company is licensed and insured so you can rest assured during your relocation. We can help with home or office moving and are happy to offer free quotes from our Littleton movers. Call today for more information. Stallion Moving Services moves homes and offices in the entirety of Colorado. Regardless of where you are in Colorado, we are able to help you relocate to your new home or office with award-winning, professional home and office moving services and our great, polite, and courteous movers. We train our movers with the necessary house and apartment moving practices and techniques before they are sent out to any moves. If we need to get you moved into an apartment on a high floor, no worries! Our movers deal with stairs and elevators with ease. There are no hidden fees added to this as well. Regardless if we are moving up or down stairs, using elevators, or moving across long walks to the truck from your home or office, we will not be adding any additional fees to the cost. We are very upfront about our residential and commercial moving costs, and keep our costs a flat-rate hourly fee. If you have any more questions about our services or movers, please give us a call or send us an email! We are always happy to help answer any and all questions about our packing and moving company services. Local moving is a breeze with our services. 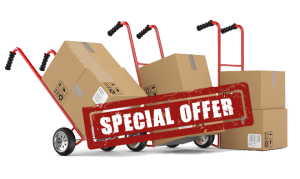 For an office or home moving quote, you are able to fill the contact forms located on this page, and many other pages on this website. You are also able to give us a call or send us an email. We look forward to hearing from you. Happy moving! If you are moving to the Littleton area from elsewhere, or simply relocating in Littleton, Stallion Moving Services can assist you with every facet of your move. We are residential movers as well as commercial movers. Not only can we move you out of your house or apartment, if you have a business you need to be relocated, we are able to help you with moving and packing as well. Our professional movers have taken care of many commercial moves in the past and know what it takes to get the job done efficiently. Let us relieve the stresses of moving by handling your relocation with ease and assurance. Call our Denver movers today at (720) 880-8554. Residential moving is done in a snap with our home moving services. If your home has any pianos or organs, no problem. We offer complete piano moving service from our professional piano movers. There is no type of move our moving company can’t handle. From small moves to long distance, we’ve got it all. Moving long distance is nothing to be worried about. We can help you cut costs with our long distance moving services. Call us today for information or to find out why it’s a lot more affordable to go with us, compared to a large moving corportation. The Littleton suburb of Denver, Colorado spans three counties and is the fourth most populous suburb of the Denver metro area. Located in the south suburbs of Denver, Littleton is just west of 1-25 and conveniently close to many shopping, dining and entertainment venues. This is home to many families who hold jobs in the area or commute to work in business parks such as the Denver Tech Center, Cherry Creek, or Lower Downtown. Its southwest location to proper Denver makes it a good place to live and work, while raising a family. They are so amazing. From packing and when they started moving. Everthing went as planned without any delays. Thanks for the great moving experience. For the third time I have used Godward Movers, and still provided me quality service that is unparalleled among the others. It was a great moving experience with them. They were quick to arrive from my place and were very careful, yet speedy in wrapping and packing my belongings. I have never seen people pack and move so quickly and orderly without causing any damage from my valued items. I would eventually ask them again for the same matter whenever needed! Surely recommended! I could not afford of recommending other moving company around Colorado. This one is the best! I was completely satisfied with the service and the professionalism of these moving guys. I will definitely use them again. Thanks to you Stallion Moving Company for that excellent service you provided to me. Great work! Nothing was too much trouble for them! Everything I asked of them was done without complaints. Furthermore, they arrived on time and worked very hard to make sure my move was done on time! I was hesitant hiring a moving company due to the general reliability of movers but I must say I made the right decision by selecting Stallion Moving. My entire experience with them has been pleasant and everything went smoothly and stress-free. There was just a little issue with the movers truck parking in our Littleton neighborhood but it was handled promptly by the company. Just want to thank the entire team for their professionalism! Would certainly suggest their moving services! Josh & Stevan were wonderful. What a great experience. Dave and Alex were two of the most hardworking guys I've met. Thanks so much! Had to thank these guys for a job well done. These guys are the best! Thank you guys. You all did a fantastic job. Thanks a lot! My 4 movers worked very hard! I would use them again. Thank you Quinton, Brian, Jefferson, and Joaquin. I'm very happy with the quick and efficient service by Stallion Moving.